The subscription-based Japanese exclusive Dragon Quest X – released on the Wii in 2012 and the Wii U just last year – has today reached a significant milestone. According to Producer Yosuke Saito via Twitter, the Square Enix MMORPG has now sold a total of one million copies. Last April, the title had shifted just 33,000 units in the first week of its Wii U release, being completely dominated by sales figures from the same period for Luigi’s Mansion: Dark Moon – clocking in at 110,000 units – and Animal Crossing: New Leaf, which had already been on sale for months and still managed to move 58,000 units. Square Enix hoped the Wii U edition of Dragon Quest X would revitalise the subscription-based game’s fortunes, although its failure to make an impact instead raised concerns about the brand name behind it, as well as the company – having already come off a rough period with underperforming games and poor financial results. Unfortunately, odds of a Western localisation still seem slim; import copies aren't much better, being IP locked, and refusing to work for legitimate Western users. There are ways to bypass the system, but even then it's trial and error. It seems the release has crept past that one million landmark with a little help from multiple releases, with the Wii version performing well (by MMORPG standards) in 2012 and later 2013 arrivals on PC and Android adding to overall results. 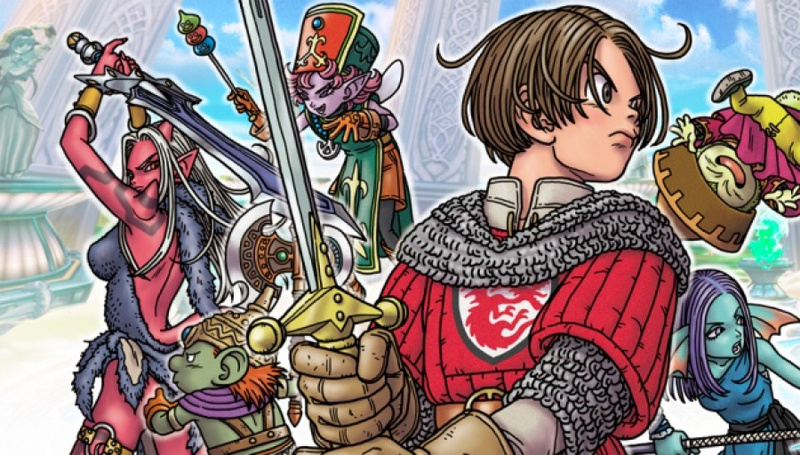 Let us know in the comments what you think about this latest milestone, and what may have hindered the breakout success of Dragon Quest X and held it back from the West. Maybe... this could come to the US now? @TruenoGT safer releases...I'm seriously doubting that SE cares. Not sure what's up their minds but seeing new IPs and remasters kicking their precious XIII-3 should get them moving one would think. You gotta love that region locking! Its the same company that didn't even want to localize Bravely Default. There's a ridiculously small chance this makes its way over to the West and if it does Nintendo will be the one's footing the bill for it. Is there really Android and PC versions but not iOS? Isn't that against the law? Would like to see the sales breakout, if Android is free or 99c that might be a large chunk of that 1mil mark. I've only played DQ8 (PS2) but really enjoyed it, over 100 hours of free roaming cell shaded goodness. Wouldn't mind another one of those. Just speaking personally, I love Japanese RPGS - none more so than Dragon Quest - but I simply did not want an MMO. It's not even lack of interest - I just can't be doing with paid subscriptions and the need for a constant internet connection (not keen on real-time combat either, but that's not quite as much of a deal breaker). Dragon Quest IX was very, very good, and VIII was stunning beyond words, and that is what I hope the series goes back to. Immersion, charm, vast 3D worlds to explore. But please, no mandatory internet connection. Must be great to hit that number of subscribers. Even a statement from Sqenix would apease those fans who have been begging for an overseas release. I was raged wen they announced that Dragon Quest X would be a MMORPG, but after watching the trailers i wish that this game come to america. Unfortunately I do not think that will happen. @rjejr The Android version launched only very recently, and requires a subscription just like the home versions. You can actually play using your PC/Wii/Wii U character if you have one, making it more like an expanded "remote play" service than its own app. It's also only for a select few handsets/tablets from one particular provider too - the main point being that it's "real" sales from PC and Nintendo consoles that's driven the game to this one million mark; it's not falsely-inflated numbers spearheaded by an Android app. 1 million over two years and three platforms (Wii, Wii U and PC) doesn't sound too good. Granted, I have no idea how much Square can squeeze from the loyal one million customers on a monthly basis, but I think it's safe to say that by turning Dragon Quest into a paid MMO, they shot themselves in the foot. They could have so much more sales worldwide if they just followed the recipe laid out by DQ IX on the DS, how hard could that be? Shooting themselves is all Square has being doing of lately. @kensredemption Because FFXIV was released on a Sony console. That should tell you enough. @MAN1AC Bravely Default they shouldn't have localised it shows the whole way through how far they have fallen. (The Dragon Quest games are from when they still made decent games). Bring all the RPG's to DS and Wii U. RPG's do sell. Look at UnEpic. I love it and just a few hours into the game. @Kimimi - Thanks for all of that, guess the 1mil number is legit then. As for Dragon Quest X? No, I don't want it. It's an MMORPG - those don't interest me anymore and more importantly aren't going to sell well at all outside of the PC market, and even there its a risky choice. I really hope DQ X gets localized. I'm not into RPG's anymore but I'd certainly subscribe to this game in a heartbeat. Dragon Quest makes me sad. It's my favorite JRPG series, but NOA seems to think it's not worth localizing the newer entries and ports. Such weak sauce and meatballs. What are you referring to? NoA has nothing to do with Dragon Quest. Just because a game is on a Nintendo console, does not mean Nintendo, particularly NoA, has anything to do with it. Dragon Quest is not Nintendo's game. If you're not getting the localizations you want from this franchise, you need to let Square Enix know rather than blame NoA. @JaxonH What are you referring to? Check and see who published all of the latest DQ games in NA and then get back to me. Perhaps you should check your facts before jumping on someone. I'm in the industry my friend. Nice try. I'm not mad at anyone. It'd just be nice if Nintendo, again, as they have in the past, stepped up and published it in NA. I'm not blaming anyone for anything. I simply said "it makes me sad." One can become sad without blaming someone else for their sadness, can they not? So yes, NoA has something to do with Dragon Quest. Would I like SE to just do it themselves? I sure would. That's not going to happen, however, so on to the next one. @Prof_Elvin_Gadd Did they definitely do the localisation last time ? (I know they published it). Looks like the For the Sequel version of Bravely Default had dual English and Japanese audio. Just because Nintendo published that I cannot imagine them starting again. But what I'm saying is it's not their game- it's not their responsibility. If Square Enix doesn't think the game will sell well enough to localize, why on earth should Nintendo? If Nintendo does us the courtesy of stepping in and localizing when Square Enix refuses, that's terrific. But that doesn't mean it's now their responsibility to do so. And that doesn't mean we should blame them. Just because Nintendo steps in to take a risk when a game's own publisher isn't even willing to do so, doesn't mean it's now their JOB. Nintendo published Bravely Default- but that doesn't mean it's now Nintendo's responsibility to bring all future iterations to the west. If they do, awesome, but publishing someone else's game is one of those "above and beyond" kind of things. It's still Square Enix's game, and if you're going to blame someone, blame the ones who own the IP and aren't bringing it, not the outside publisher who did a favor once or twice in the past. Nintendo and Square Enix: Bring this game to the west. 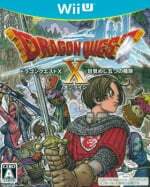 I would be happy just to see Dragon Quest IX get released on a Virtual Console service for Wii U (or any of the Dragon Quest games) long before Dragon Quest X comes over. I hate the MMO genre and was sad to see Square Enix push both Final Fantasy and Dragon Quest in that direction.